Located at the foot of Mt. Sashiro in Kasama-Shi, Ibaraki prefecture. Shofuku-Ji was founded over 1,300 years ago and its Kannon, the goddess of mercy, has been watching over the region and the people who live there. The temple is the 23rd in the Bandō 33 Kannon Pilgrimage, or the circuit of 33 Buddhist temples in Kanto area, and it is an independent temple of the Singon sect. 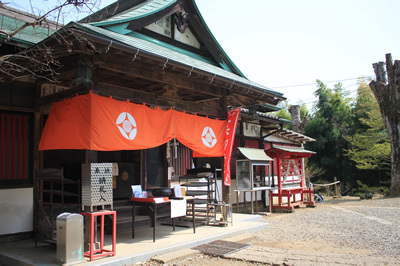 Goshuin is unique calligraphy and stamps which are given to visitors as a proof of their visiting. 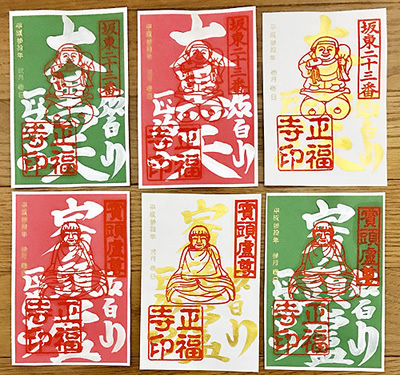 For those who live far away from Shofuku-ji, we provide internet mail order and international shipping.We hope that Goshuin will lead you to having an interest in not only Japanese culture but also Japanese Buddhist culture. 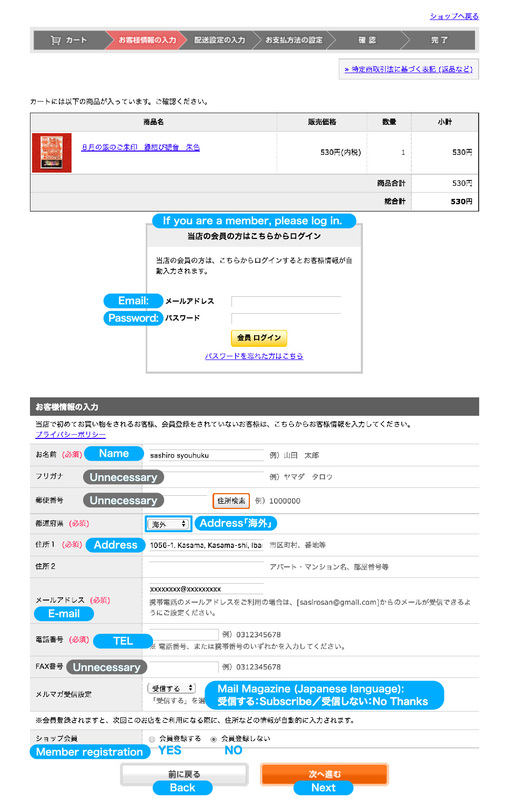 Goshuin is the only item for international shipping. We only accept credit card (VISA/Mastercard/DINERS). Bank transfer and cash-on-delivery are not available. Thank you for your understanding. Should you find any faulty items, please contact us as soon as you receive them. We won't accept any returns unless the items are faulty. We deliver through EMS (Express Mail Service) or international mail service. Delivery dates cannot be specified. If you wish to track your package online, please choose EMS. International mails cannot be tracked so please be reminded that we cannot guarantee the safe arrival of the product if you choose international mail. Delivery dates cannot be specified. You will be responsible for duties and the local taxes if any. Please contact the customs office in your country for details. 1.Specify the quantity and click “Add to Cart”. 2. 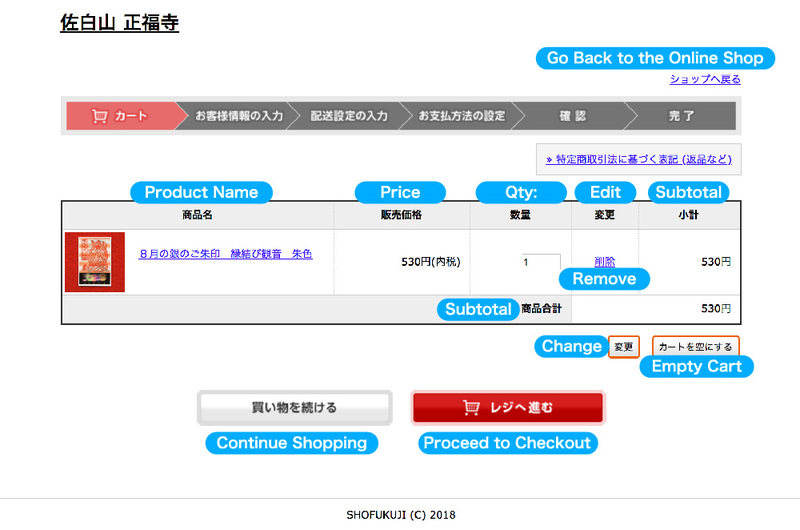 Confirm your order and click “Proceed to Checkout”. Select “海外” at the end of the pulldown menu. "海外" means “Outside of Japan”. Enter your address including the name of your country. 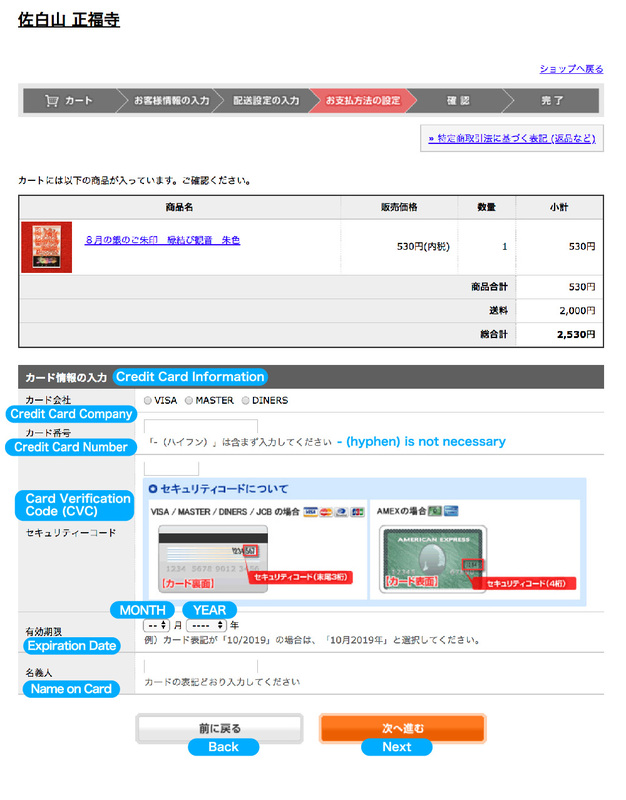 If you register, your purchaser information will be displayed automatically next time. Please select EMS (Express Mail Service) or international mail. If you wish to use EMS, please select your residential area. 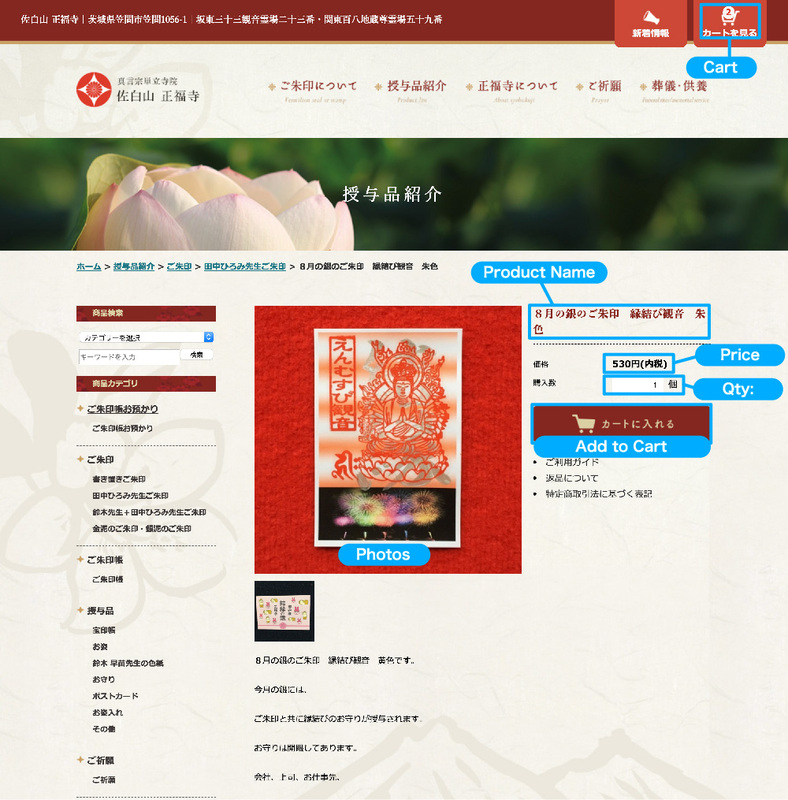 Shipping information will be automatically displayed. Please edit if necessary. We only accept credit card (VISA/Mastercard/DINERS) for international shipping. Enter your credit card information and click “Next”. Confirm your order and click “Place Your Order”. 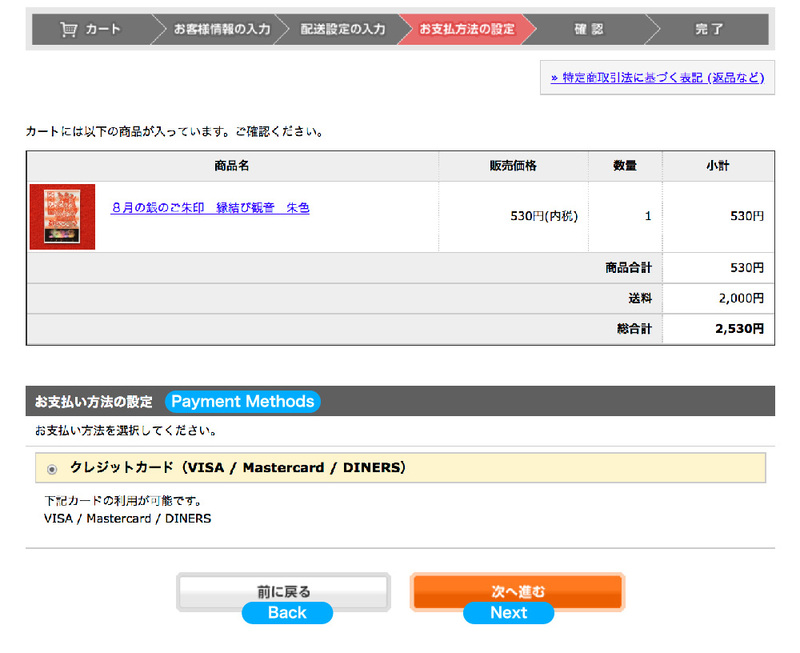 An order confirmation E-mail (auto-reply) will be sent to your E-mail address. As soon as we ship your order, we will send you an E-mail.